What Will I Do With My Arms Now? She was always dressed so stylishly, exuding confidence and assurance in herself. Her family lineage was of the blue-blood variety…and there she stood, in front of us with her hazel brown eyes filling up with tears. Her lower lip quivered and she wistfully twisted the big silver and citrine ring on her index finger. Shiny droplets gathered on her thick black eyelashes as rivers of sadness washed down her face. Kimberly was crumpling. We were gathered at our women’s leadership group that day sharing prayer requests. “He is leaving home the end of this week,” she painfully explained that her only son was leaving for college that weekend. Just a few years before, I had been a new mother. It was the week before I was to return to work from maternity leave and my very wise next-door neighbour (and mother of four daughters) had suggested I have a “dry run” of the babysitter before I officially returned to work. It almost destroyed me. I took my son to the sitter’s house and left him there for only three hours. When I returned home, I walked in and fell onto my husband’s chest – wailing away. “What will I do with my arms now?” I petulantly demanded of him. I felt naked, bereft, lost, without purpose and permanently halved without my baby boy to hold. My husband looked at me like I was nuts (maybe I was, just a little post partum), but the intent of my meaning wasn’t lost. I had changed. 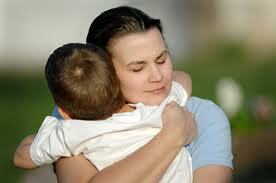 I was a mother now and world watch out – you must revolve around him. When son number two came along, that emotion just intensified and I built my bulwarks to protect them both. These two little people had been given to me and it was solely my job, or so I thought, to foresee and intervene with all things/people unhealthy, unholy and just not right. It was shortly after the September 11th terrorist attacks when God sharply snapped me to attention that I was trying to do His job. My “hands off” attitude did not please Him one bit. At the time, our family lived in an area that had been directly affected. Indeed the whole country walked on pins and needles for many months afterward, but for the communities who were directly impacted – well, there was an extra level of anxiety…always waiting for the proverbial “other shoe to drop.” And it seemed that it did, as within the year our region was also under the fearful specter of Anthrax poisoning by mail and the sniper attacks. It was the sniper crimes which really shook up my personal community, as the killings were random and varied, with no apparent pattern. A new Christian at the time, I was very fearful of the shootings, and found myself with high anxiety, a racing heart and sleeping in my children’s rooms. I was adamant about pulling window shades down and taking extra precautions around gas stations. It was crazy. I was crazy. Who do you think is a better parent, you or God? The woman went on to berate me about my lack of faith in the One who had planned and created my children in the first place. Her question shocked me, but that was a turning point in my life and as to this day God continues to remind me about my tight grip on them. It is a constant struggle for me to trust anyone with my children and “tear down” the fences I have put around them – even with Him. My oldest son is nearing the end of his high school career now and will be making some decisions too soon about his own future. I know that God already has plans for his future and that no matter what I want (can’t he just stay local to go to college)? that God will send both my sons where they are supposed to be. I am learning each day to open my hands to God fully, so that He can guide my boys (without my interference) to greater things than I could ever imagine. So like Kimberly, I will face that same trauma with my boys that she did…and I will have to answer my own question, What Will I Do With My Arms Now? Well, I am their mom, and though they may wander away for awhile whilst they figure life out, I know they will return time and again, and maybe one day fill my arms with little ones of their own….and when they are away from me, I will use my arms and hands to love on and pray for whomever God places in my life…and look forward to the days when I can wrap my arms around my grown-up men of God once again. I know you are lovin on him every precious minute you have. My head is spinning to realize how fast it is going. Now that my boys are older, it seems like time is speeding up. I wish you for you and your family delight and joy in every single moment…. 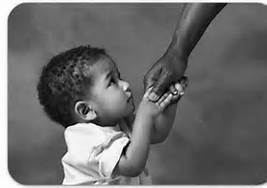 Apart from the saving grace of God, Children are the must humbling and incredible gift we can ever receive from The Lord. It still astounds me to think that God chose me to be a parent….especially their mother! Truly I am not worthy of the honour, but very happy to have it. Blessings on you dear mommy of a son!